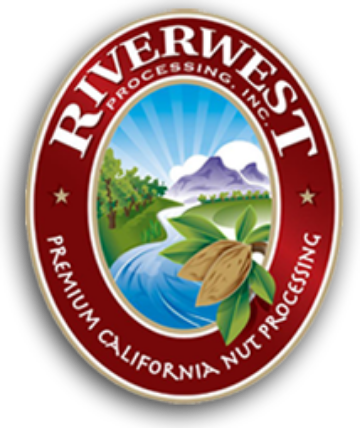 Riverwest adheres to good manufacturing practices (GMPs) to ensure the quality and safety of our products. We have identified certain GMPs as clear, measurable indicators of our commitment to our growers and our customers. Our management team requires Riverwest management, employees, visitors, and service personnel to meet the minimum requirements for GMPs while at the Riverwest processing facility. All persons handling food products and who enter the Production area must wear clean clothing. Shoes must be in good repair. No open toe or backless shoes are allowed. Garments that shed fibers or have items that can become a foreign material contaminate, such as beads or rhinestones, are not permitted. Shirt pockets must remain empty of any items that can possibly fall out and into the product. Pens and pencils can be placed securely inside clothing pockets only if located below the waist. Only RWP Supervisors may carry cellular phones in food production areas – for emergency contact use only. Hands must be washed and sanitized after using cellular phones. Hairnets must be worn at all times in the food production areas during the processing season. Hair and ears must be fully enclosed by the hair covering. Bump caps must be worn in designated areas. When applicable, beard nets must be worn in the food production areas during the processing season. Facial hair (side burns) grown below the ear lobes is considered a beard and must be covered. Beard nets must be worn to cover beards and moustaches. No exposed jewelry other than plain wedding rings can be worn in the food production areas. This includes earrings, necklaces, bracelets, and wristwatches. No artificial nails or nail polish can be worn unless gloves cover hands. Medical devices or indicators must also be covered appropriately so that they do not compromise employee or food safety. Personnel should take all necessary precautions to prevent contamination of food with microorganisms or foreign substances, including but not limited to perspiration, hair, cosmetics, tobacco, and chemicals. False eye lashes, excessive make-up, perfume or aftershave must not be worn. No open food or drink containers, eating, chewing gum or other foodstuffs is allowed in the food production areas. Personnel must wash their hands and sanitize prior to handling almonds, after using restrooms, returning to their workstation from break or lunch, or at any other time when hands have become soiled. Tobacco is not permitted in this facility. Spitting is prohibited. No employee infected with any infectious or communicable disease, including boils, sores, infected wounds or any other affliction that may spread disease, may be in contact with the almonds. Coughing or sneezing over food or processing materials/areas is prohibited.